Need ideas for a third grade program? 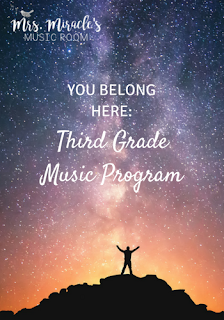 In today's blog post, I'm writing about my program, "You Belong Here." I created the program based on the beautifully illustrated book by M.H. Clark and Isabelle Arsenault. about how we are all unique, and how we are all loved! 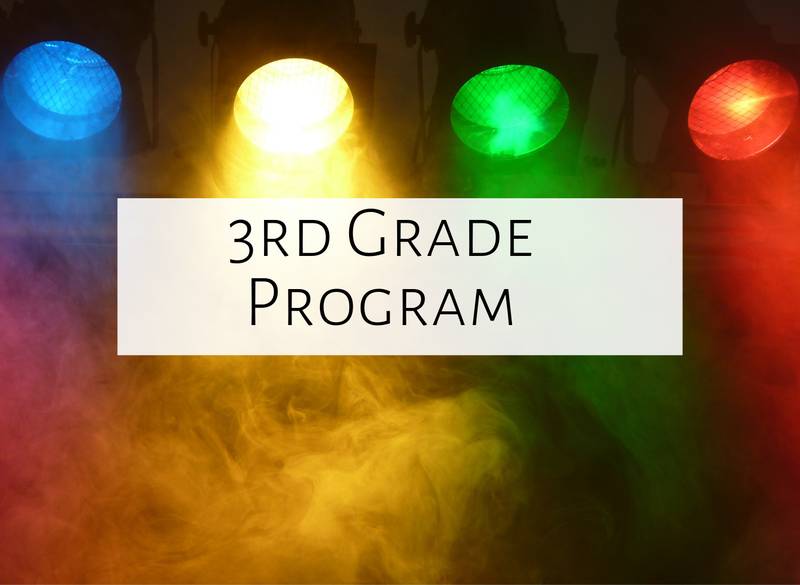 I did this program with third grade, but it could also work for second grade. I split the text up between 28 narrators. For the first part of the program, I had two narrators come up and read the text in the book from "The stars belong" to "here with you." After those two narrators, I had students sing "Who has seen the wind," which is based off of the text by Christina Rossetti. The notation can be found in this blog post. I taught the song to all of the third graders, but had one class arrange the song, figuring out what should go where. In this case, the third graders decided to play the gong, then the wind chimes, then sing the song, then add an alternating bourdon on instruments, then have soloists play in la pentatonic, then sing again with instruments, and then end with wind chimes and the gong. Of course, your students' arrangement might look quite different! I had two more narrators come up, and read from "The whales" to "dunes are for." Since that part is about the ocean, I then had one class perform "Waves of Tory." Here is a version of "Waves of Tory"; since I was performing this with third grade, I had students do a simple "Peel the Orange" instead of the fancy one in this video! Then I had two more narrators come up and read from "And the trees" to "they've made." Since this part is about birds, I had students sing "Kookaburra" with this fun accompaniment. Then, I had four narrators come up and read from "And you belong" to "water is near." Then, we sung "Frog in the meadow," which can be found here. I had students sing twice, with a frog guiro like this one played 8 times between the first and second singing. Two more narrators came up, and read from "And you belong" to "love the most." Then, I had students sing "Love Somebody," with one of the classes accompanying on instruments. I used the arrangement found here on TpT. Two more narrators read from "The hares" to "night turns cold." Then, I had one class perform "One to 4" from this hand drumming book. As a class, they arranged it for body percussion and hand drums, and they loved it! This song was our school song this year, so it was often played on the announcements. It has a great message and the kids loved singing it! After some digging, I finally found an accompaniment track here. It was a bit pricey for an accompaniment track, but I couldn't find one anywhere else, so was excited I found it! The third graders really enjoyed this performance, and I was very pleased with what they did musically, from singing, to movement, to playing instruments! Hopefully I've explained everything so that you could recreate it or adapt it for your own students. I hope this post has been helpful for you! Have fun planning! I love this so VERY much!! Sounds like a beautiful program. I LOVE this!! I totally wanna try it!! Hey Aileen! Where did you get the music for the Waves of Tory dance? Hi Samantha! It's "Rakes of Mallow," which can be found on iTunes. Have fun!